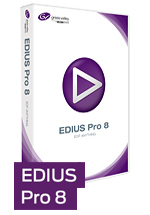 516.73 Kb Built on highly acclaimed EDIUS application technology, Neo gives you the ability to edit multiple formats and automate tasks, so you can work seamlessly in real-time and produce optimal results. With Neo you: Supports mixing of all formats on the same timeline with a seamless real-time workflow; Preserve original image quality with no loss of resolution or frame rate; Enable real-time playback of three or more streams without special hardware, and export projects to multiple devices; Run Neo on laptops, desktops, and workstation systems, and input/output video from any compatible hardware; Perform faster conversions between different HD and SD resolutions, aspect ratios, and frame rates...all in real time; Perform advanced editing functions, including 3D, and automatically adjust misalignments. Storm 3G Elite A breakout box with a PCIe 4X I/F card for desktop connection (4X mode: up to 1080p50/60) as well as an Express 34 card (1X mode: up to 1080i) for laptop connection. 3G-SDI embedded audio; HDMI; AES/EBU; Analogue Component (BNC: Y/Pb/Pr); Analogue Composite (BNC); Balanced analogue audio; BNC: Black Burst or Tri-Level Sync; 9-pin D-Sub: RS-422A x 2 (Master/Slave). 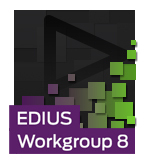 Ships with a full version of EDIUS 6. ADVC-HD50 "The Grass Valley ADVC-HD50 converter lets you instantly convert uncompressed HD video and audio from HDMI devices to the HDV format, output via IEEE 1394 FireWire, for use in your nonlinear editor of choice. Carrying on the design philosophy already present with standard definition (SD) ADVC products, the ADVC-HD50 converter sports a sleek, portable design with an emphasis on simplicity and compatibility; the converter does not require any drivers or software to set up, and is compatible with both PC- and Mac-based editors. ADVC-G1 602319 "Any In to SDI Multi-Functional Converter / Upconverter with Frame Synchronizer. HDMI, DVI, RGB, component, composite, S-Video, analogue audio, AES/EBU, reference inputs; (3G) HD/SD-SDI out. ADVC-G2 602333 "HDMI & SDI to Analogue & SDI Multi-Functional Converter / Upconverter with Frame Synchronizer. (3G) HD/SD-SDI, HDMI, reference inputs; (3G) HD/SD-SDI, component, composite, S-Video, analogue audio, AES/EBU out. ADVC-G3 602357 "2X SDI to HDMI 1.4 Converter/Multiplexer with 3D Support. (3G) HD/SD-SDI X 2 inputs; HDMI 1.4a, AES/EBU, analogue audio outputs. ADVC-G4 602371 "Sync Generator with Reference In. Reference input; Outputs X 9, 48 kHz word-clock, DARS audio outputs. 482.46 Kb T2 iDDR2 family Intelligent Digital Disk Recorder. The T2™ iDDR is a next-generation intelligent digital disk recorder (iDDR) that combines advanced nonlinear features (direct, frame-accurate access to content), with VTR-like controls. The T2 iDDR is a complete and self-contained SD and HD audio/ video playout center which delivers superb image quality, versatility, and usability. It has two playback channels and one record channel, all simultaneously and independently available, supporting full 1920x1080 (60/50/24) resolution, as well as 720p and 480i formats. The two playout channels can be used for independent playout, editing, previewing, or for delivering content to two different display systems simultaneously. The T2 iDDR has also been engineered to seamlessly integrate with Grass Valley EDIUS® nonlinear editing software. 4324.06 Kb The Grass Valley™ K2 Dyno™ Replay System is a powerful, cost-effective application addressing the need for replay control and highlight generation in file-based live productions. Ideal for events such as sports productions and OB vans, the system is an efficient solution for replay in many environments such as studios, including the replacement of legacy tape-based operations. By implementing Gigabit Ethernet networking, common file wrappers, continuous FTP bandwidth, and standard IT storage connectivity, the K2 Dyno Replay System works without costly software and hardware add-ons to manage and move content throughout production environments. 7428.98 Kb NEW The LDX Series™ of software upgradable cameras enhances your creativity and gives you amazing control. Four models—Flex, Premiere, Elite, and WorldCam—offer varying levels of operational flexibility to match every production need. The simple GV-eLicense program delivers the ability to elevate your camera's capabilities perpetually or on a 7-day term without ever compromising on quality. With LDX, your investment is safe and sound. 2106.71 Kb Multi-Format High-Definition Production Camera. The LDK 8000 Elite series of cameras is the latest development in the LDK 8000 family and features improved performance and new features. With three next-generation 9.2-million pixel HD-DPM+ sensors, it is the only camera available that can capture true progressive HD images natively, and switch instantly among multiple formats and frame rates. And with its 1080p origination and selectable frame rates up to 1080p60, it's a perfect match for the intense demands of today's productions. Live Super SloMo 1X/2X/3X Camera. The LDK 8300 high-definition (HD) camera not only operates in 3X speed but is switchable among 1X, 2X, and 3X speeds. It's perfect for all slow motion tasks in sports production while offering unmatched operational flexibility and maximum utilization. Based on our unique HD-DPM+™ sensors, the LDK 8300 camera can be natively switched between 1080i and 720p formats. And its AnyLight feature eliminates flicker caused by artificial lighting. 1156.34 Kb The GV Director Nonlinear Live Production System is the ultimate multipurpose tool for live production. Integrating video switching, multi-layer effects, animated graphics, multiviewer monitoring, and more—all in a single, intuitive, and highly creative system, GV Director may pack small, but it sure produces big. 3251.12 Kb Grass Valley offers a completely integrated file-based playout solution based on an optimized IT architecture and infrastructure, as well as software tools to enable media asset management, playlist management, and sophisticated graphics looks. An experienced professional services team implements this flexible platform based on customer defined requirements. This combination creates the foundation for a powerful and unique channel enrichment solution. Edge is an unified solution combining playlist management and media asset management, with graphics layout and branding. All components are designed to seamlessly work together for worry free deployment and low total cost of ownership. Optimized IT architecture and Infrastructure with modular scalability for multi-channel high-resiliency playout. Sophisticated graphics management and presentation for automated and complex on-screen presentations. Software licensing of features and capabilities for specific use case requirements and to reduce system obsolescence. 1522.33 Kb The Grass Valley (GV) STRATUS media workflow application framework is the most complete and versatile application environment for nonlinear media production. Developed to adapt to the rapidly changing business, operational, and technology needs of the modern media enterprise, GV STRATUS is a flexible, evolvable software-centric approach that changes the way creative talent works together to efficiently produce rich, high-value content. 955.83 Kb Karrera Video Production Center - streamlined power for fast, efficient production switching. The Karrera Video Production Center is Grass Valley's sleek, next-generation, mid-market switcher family that is primed to really tear up the track. The smartly priced Karrera is a finely-tuned switcher with high-performance features for fast, efficient production. The streamlined Karrera control panel efficiently brings the most-used functions front and center without losing the ability to quickly access features in-depth through panel shift levels and the menu. The panel incorporates top-of-the-line features such as bright, crisp OLED displays, and dynamic RGB LED pushbuttons for color-coding functions and source grouping. Its intuitive user interface ensures that running the Karrera will feel very familiar. Karrera also offers a unique 1 M/E soft panel and keyboard option for use in a secondary production suite or standalone applications. Sporting innovative features from both the Kayenne and Kayak switcher lines, Karrera simplifies multiple output production with DoubleTake split M/E mode, FlexiKey programmable clean feed, Transition Chaining, Source Rules, and Suites mode along with all the signal processing capability you would expect from the leader in switcher manufacturing. 575.82 Kb Ignite line of integrated production solutions is the first and most complete link between the control room and newsroom. This combined hardware and software environment lets you produce and broadcast live newscasts and other programs with only one or two operators—and it’s ideally suited for professional audio video applications, too.